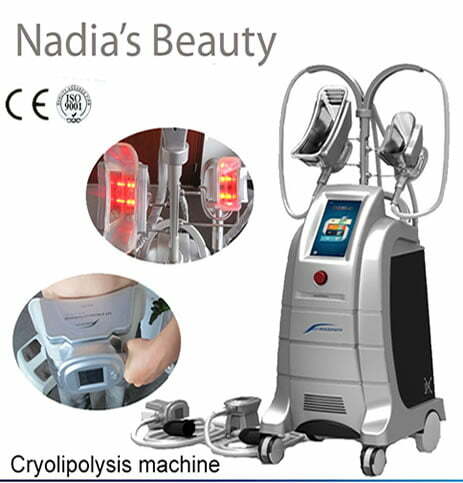 The Term “Cryolipolysis was formed by the merging of two words. “Cryogenic” which means to freeze and “lipolysis” which is the breakdown of lipids which involves hydrolysis of triglycerides into glycerol and free fat acids (i.e. 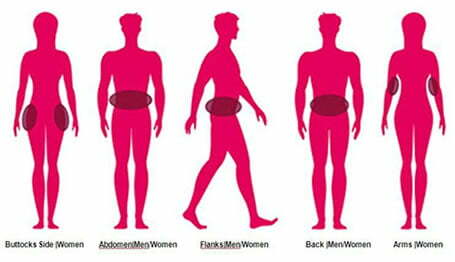 the breakdown and removal of the fat cells. This is why this process is often dubbed “fat Freezing”. Cryolipolysis offers a viable alternative to liposuction. Liposuction is a cosmetic surgery procedure that slims and reshapes specific areas of the body by removing extra fat deposits. Usually operated by the Plastic Surgery or dermatologist with a special surgical instruments for liposuction. It is an invasive way to remove subcutaneous fat tissue. There are also possible fatal complications and negative side effects associated with having liposuction. This factors include swelling painful bruising, pain numbness limited mobility and allergic reaction. In addition, liposuction is of high cost. Other non-invasive way to remove excessive fat including drugs, diet pills, regular exercise, diet control or a combination of these methods. A disadvantage of these treatments is likely invalid, and even in some cases impossible. For Example, when a person physically injured or sick, you can’t select the way of regular exercise. Similarly, when the diet pills or external use of drugs are allergic or cause adverse reactions, in addition, the use of physical or systemic approach to lose weight, you can’t dissolve the body fat of a selected area. The cooling procedure using Fat Freezing “Cryolipolysis” is fundamentally different from other non or minimally invasive modalities, and it was approved as the most effective way to fat reduction. Question and Answers about Fat Freezing procedure. 1. What is the process of the freeze fat-dissolving method? First you’ll need to fill the Cryolipolysis Consultation Form about your health and physical conditions, if there are not any contraindications, and you are happy to go ahead with the treatment, the Therapist will ask you to sign the client consent for cryolipolysis treatment. First the therapist will locate the area, paste the antifreeze membrane and begin with treatment for one hour, After the treatment you’ll be able to leave and carry on with your normal life. 2. What is the feeling during the treatment? During the 3-5 minutes you have warm feeling, then the treatment area will feel cod gradually. In clinical experience, no one needs to use medication for pain because of no invasive wound, therefore we will not feel pain unlike other liposuction surgery. At the very beginning of the treatment your will feel a little discomfort when the work head absorbs the fat area powerfully, but soon will disappear. During the treatment you could read or take a nap. 3. Which are the advantages of our fat freezing system ETG50-4S? We operate with the second generation of fat freezing method which is developed by BECO Technology. The first generation of pure freeze system that can cause blood coagulation and tissue necrosis damage. Our second generation system has been improved safely the fat dissolving method that heat the skin first, making the blood and fat completely separate and then began to the freeze fat dissolving treatment. Especially we can do two parts in the same period of treatment. It saves and also obtain better results. 4. How the fat cells react to the cooling? When fat cells are exposed to precise cooling, they trigger a process of natural removal that gradually reduces the thickness of the fat layer. Our body will get rid of the fat through our normal lymphatic system. 5. What are the common reaction after the treatment? Fat freezing is a completely non-invasive treatment. Allows real time normal activities such as work or sports. Treatment area may be red; the situation may last several hours. It also lead to local bruising and will subside within a few weeks, Some patients will feel a little non-sensitive the treatment area, it will subside in one to eight weeks. 6. How long a treatment last? Each course last about one hour we recommend doing 2-3 treatments every two or three months. 7. Does the course have a recovery period? The fat freezing method is non-invasive treatment in both cases before and after the treatment, will not affect your normal lifestyle, some people even can do the treatment during the noon break. Nadia's Beauty Copyright © 2012. All Rights Reserved.